The Creative Year is a 100+ colour plate arts publication written, designed and compiled by myself and commissioned by St Michael & All Angels Church, Bristol, following my artist residency there. 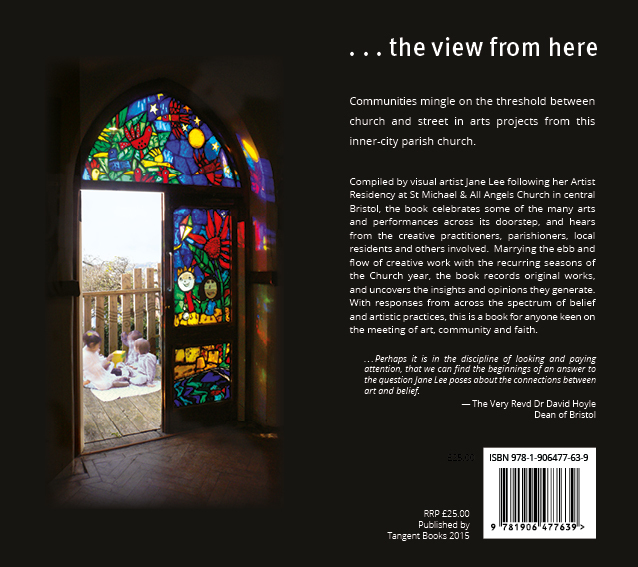 The book celebrates the work of creative practitioners - artists, musicians, writers and many others - whose work and practices have fed into the life and culture of the church and parish. The book is arranged around the six seasons of the liturgical year, their many festivals and commemorations. Contributors have variously reflected on the artworks presented in the book, their own associations with the church and other related experiences. The Creative Year contains contributions from ca. 50 contributors, and forewords from The Rt Revd Mike Hill, Bishop of Bristol and from Dr David Hoyle, Dean of Bristol Cathedral. The Creative Year highlights the arts as language – a mode of communication that impacts on the emotional self through the use of symbols, context and aesthetic 'grammar'. The book is a joy and shows in detail how, through the medium of art, our personal selves and individual narratives connect with our corporate human narrative ... It is an amazing resource: every church in the Diocese should have a copy, though I also see it as providing a resource for church communities across the country and, indeed, for anyone interested in how art and faith co-exist on the ground today... // Revd Erica Bebb, Associate Minister, Christ Church, Bristol; Pastor for the Arts, Christ Church and the Diocese of Bristol // Excerpt from longer review, read more here. ​Fabulous; an important book for presenting some serious integration between art and church, not just decorative icing of the one on top of the other // Sheona Beaumont; photographer and writer; PhD researcher into Art & Theology, University of Gloucestershire // www.shospace.co.uk // contributor to the book. What a marvelous book, truly inspirational. Thank you for it and for all the creative work you've encouraged and uncovered // Revd Canon Neville Boundy; author and retired Anglican parish priest; patron, Shakespeare at the Tobacco Factory (SATTF) // contributor. I’m very pleased to have my window featured in a new and unique book… // Stuart Low; architectural glass artist // http://www.stuartlow.co.uk/?p=1497 // contributor. 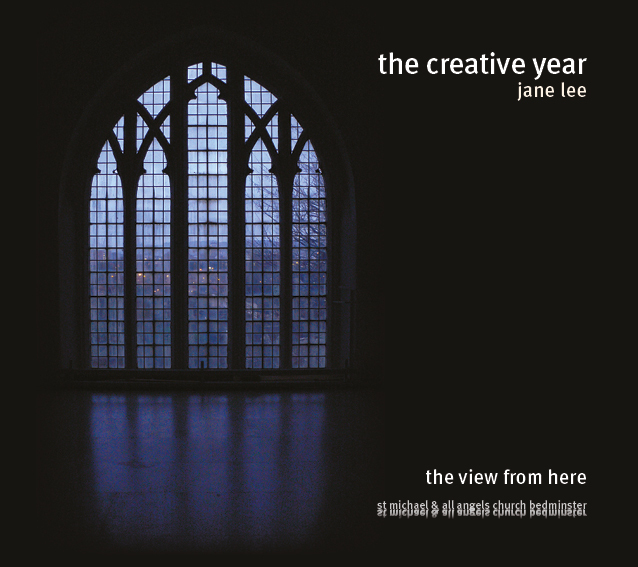 Jane Lee, former artist in residence at St Michael's & All Angels church presents a reflection on the artistic, spiritual and community year... // David Smith MA, Senior Technical Instructor, University of the West of England; member, Mapping Spectral Traces // http://www.mappingspectraltraces.org/publications-2015.html // contributor. The Creative Year is excellent, very well produced, inspiring and an example of the Spirit in action, and a record we would like to have. Please convey our congratulations, and thanks, to Jane for so concluding her time as Artist in Residence // Eric and Audrey Gordon (retired), Seaton, Devon // contributor's family.